Top-loaded backpack in classic style, just as suitable for a daytrip as for everyday commuting to and from work. Made from durable G-1000 HeavyDuty that protects contents and takes on an attractive sheen with age. The main compartment has a little zipped pocket for valuables, and a computer compartment with a padded base, big enough for a 15-inch laptop. 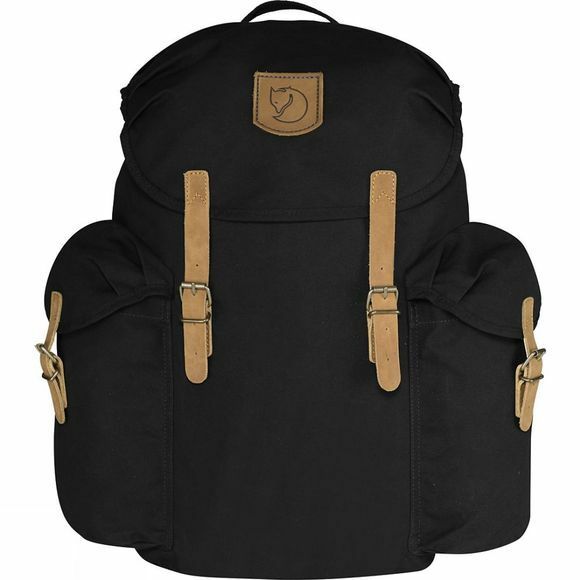 Generous side pockets with flaps, and like the main compartment they are closed with leather straps and metal buckles.